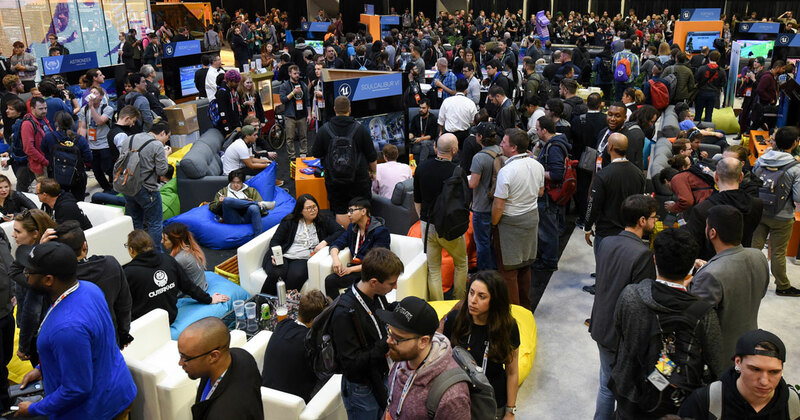 Last year during GDC, Epic kicked off an all-new initiative designed to celebrate the global development community as teams from around the world converged inside a new, second booth to showcase their amazing work in Unreal Engine. 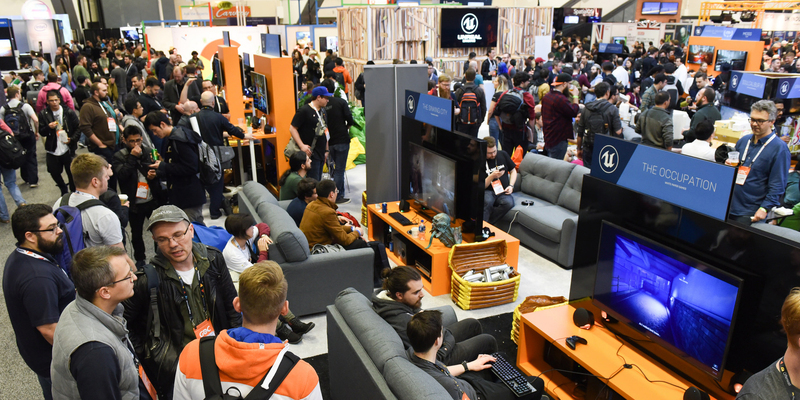 After three jam-packed days of demos, food, fun, and beer during last year’s show, we’re thrilled to let you know that we’re bringing this dedicated games booth back at GDC 2019. Check out dozens of games in our booth at Moscone South #327 throughout all show floor hours. From the amazing Kingdom Hearts III by Square Enix to the whimsical Kine by solo indie developer Gwen Frey, we’ll be featuring a fantastic mix of teams and titles across all genres and platforms. Of course, Unreal Engine tools demos will still be featured in our neighboring booth at Moscone South #349. Bend and twist reality in A Fisherman's Tale, the VR puzzle adventure game in which being turned upside down and inside out is not merely a play on words. Putting gamers in the cockpit of the most advanced war planes ever developed, ACE COMBAT 7: SKIES UNKNOWN delivers the ﬁercest air combat experience ever created through photorealistic visuals, intense dog-ﬁghting action, a multitude of authentic and futuristic aircraft to ﬂy, an immersive storyline, and even virtual reality! Assetto Corsa Competizione is the new official Blancpain GT Series game. Thanks to the extraordinary quality of simulation, you can experience the real atmosphere of the FIA ​​GT3 homologated championship, competing against official drivers, teams, cars and circuits. Close to the Sun is a horror game that takes place at the end of the 19th century on a mysterious ship complex created by Nikola Tesla for the sake of knowledge. In this alternative version of history, his scientific breakthroughs have already had a major impact on the world. Daemon X Machina is a brand-new, fast-paced mech action game from Kenichiro Tsukuda that is coming to Nintendo Switch. Take your Arsenal, a fully customizable powered suit, out for an array of missions to surmount the enemy at all costs. Choose and equip your Arsenal with a multitude of weapons, obtain more from downed enemy Arsenals, and swap them on the fly to suit your strategy in the face of ever-changing threats. Mount up and traverse through a vast landscape to slay lesser creatures and gargantuan dragons in the action RPG, Dragonhound. Player armaments range from bows and small firearms to heavy weaponry and mounted cannons that can pierce and pulverize the dragons’ thick hides. Gear up at the Weimaochi, a mobile stronghold and player hub, and prepare for the next thrill of the hunt! Farm Folks offers a delightful mix of RPG and farming mechanics, giving you the freedom to get lost in the world while you build a farm from the ground up. There are many friends to be made, many crops and animals to tend, and a whole island to discover. Kine is a 3D puzzle game about three whimsical machines that aspire to be musicians. Embark across a theatrically-rendered cityscape by solving increasingly difficult 3D puzzles. Guide Euler, Quat, and Roo as they struggle to form a band and find their big break! Learn more about Gwen and the game by watching this Unreal Engine livestream. Keep moving, the world is dying in the Nomadic Survival MMO Last Oasis. Build walking mobile bases and travel to new lands. Create clans and fight for territory. Resources deplete fast, so take your sword and scavenge, pirate, and trade to stay alive. Morphies Law is a robot morphology-driven 3D shooter with a simple basic law: each weapon hit transfers mass from the victim’s damaged limb (making it shrink) to the corresponding limb of the attacker (making it grow). Mutant Year Zero: Road to Eden is a tactical adventure game combining the turn-based combat of XCOM with story, exploration, stealth, and strategy. Take control of a team of Mutants navigating a post-human Earth. Omen of Sorrow is a classic 2D, four-button fighting game with a cast of characters inspired by classical horror, fantasy and mythology, and a battle system designed from the ground up to leverage player skill, rather than stats or random chance. Omen of Sorrow features deep combat mechanics that favor movement and spacing over tight execution to provide an engaging experience for pros and newcomers alike! Learn more about the development of Omen of Sorrow in this Unreal Engine interview. Remnant: From the Ashes is a third-person survival action shooter set in a post-apocalyptic world overrun by monstrous creatures. As one of the last remnants of humanity, you’ll set out alone or alongside up to two other players to face down hordes of deadly enemies and epic bosses, and try to carve a foothold, rebuild, and then retake what was lost. Spellbreak is a new battle royale RPG featuring epic magic combat. Weave spectacular spell combinations and craft strategic builds in your quest for survival. Learn more about the project in this Unreal Engine developer interview. The Cycle is a competitive quest shooter, from the makers of Spec Ops: The Line. On Fortuna III you compete against other Prospectors or collaborate with them to claim as much resources as possible and escape before the planet crushes the life out of you. TINY METAL: FULL METAL RUMBLE is a turn-based strategy wargame of intrigue with a distinct Japanese flavor chronicling the battles of Commander Wolfram. Taking place after the events of TINY METAL, the series marks its return packed to the brim with bigger, better, and more metal content including a new engrossing wartime narrative and beloved tactical gameplay. Torchlight Frontiers combines the heart of the beloved Torchlight series with a shared, persistent, and dynamically-generated world. In true Torchlight style, players will team up with friends and devoted pets to hack and slash their way through a vibrant world, discover ancient ruins of lost civilizations, and brave dungeons filled with dangerous creatures, deadly bosses, and of course, loads of loot! In Trover Saves the Universe, your dogs have been dognapped by a beaked lunatic who stuffed them into his eye holes and is using their life essence to destroy the universe. Does that make any sense? You’ve partnered with Trover, a little purple eye hole monster to save them. Find power babies and plug them into his eye holes so that he can absorb their power, track down Glorkon, and save your dogs (and the Universe). But that’s not all... Check back here soon as we announce additional titles for the booth and be sure to follow up on Twitter and Facebook for all of the latest on GDC 2019. If you’d like to receive email updates about our GDC 2019 plans and announcements, you can sign up here.